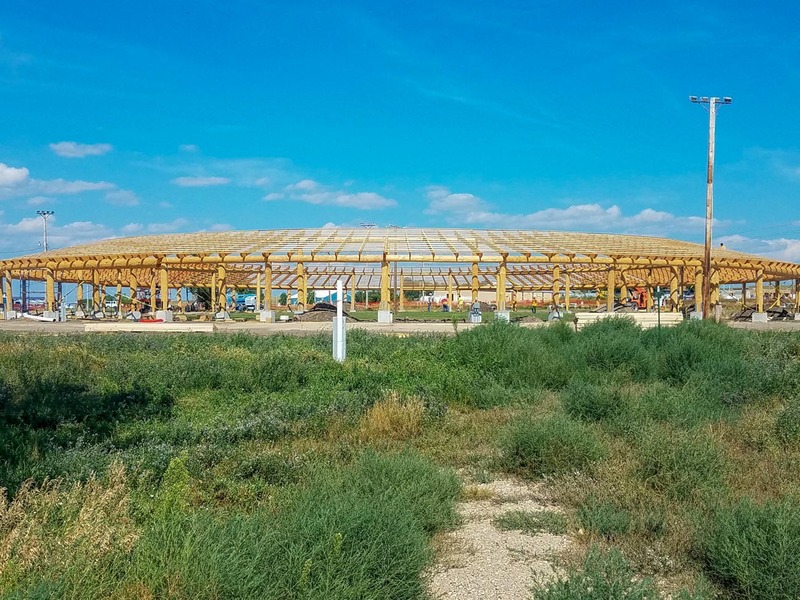 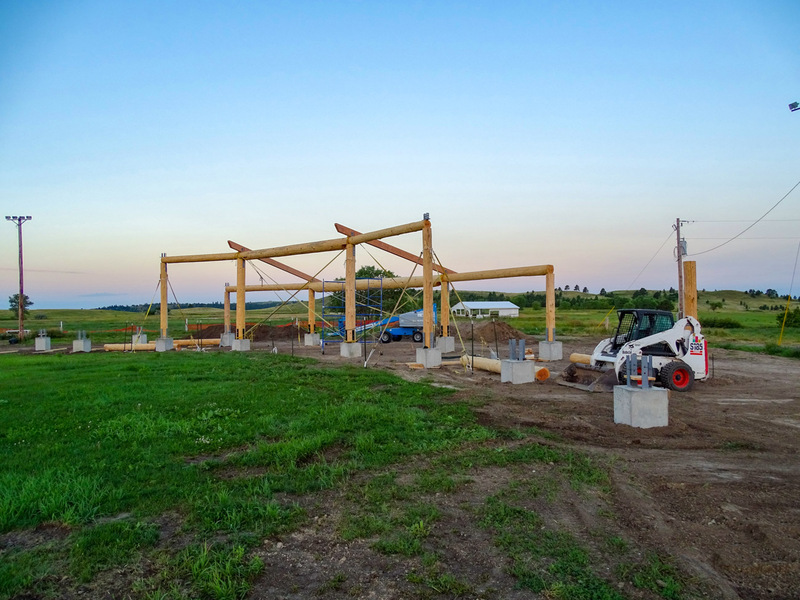 The Rosebud Sioux Tribe and Seven Generatins A&E commissioned WholeTrees to provide this grand structure in South Dakota in time for an August 15th PowWow with their general contractor, the REDCO group. 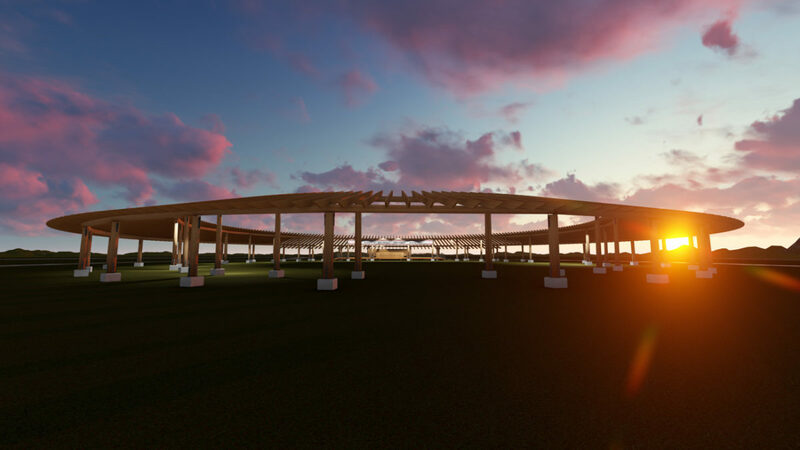 The fast-tracked project features an 80' arena surrounded by a circular structure of WholeTrees pre-engineered columns and beams with steel connections to handle heavy sheer and lateral loads from high wind, and the steel roof. 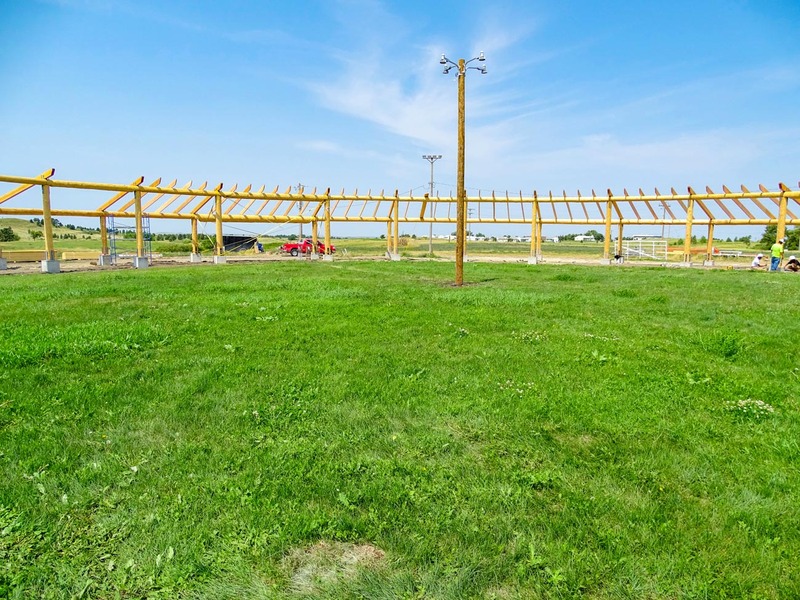 The four entry-ways reference the four sacred directions and their significance in the Sioux tradition. 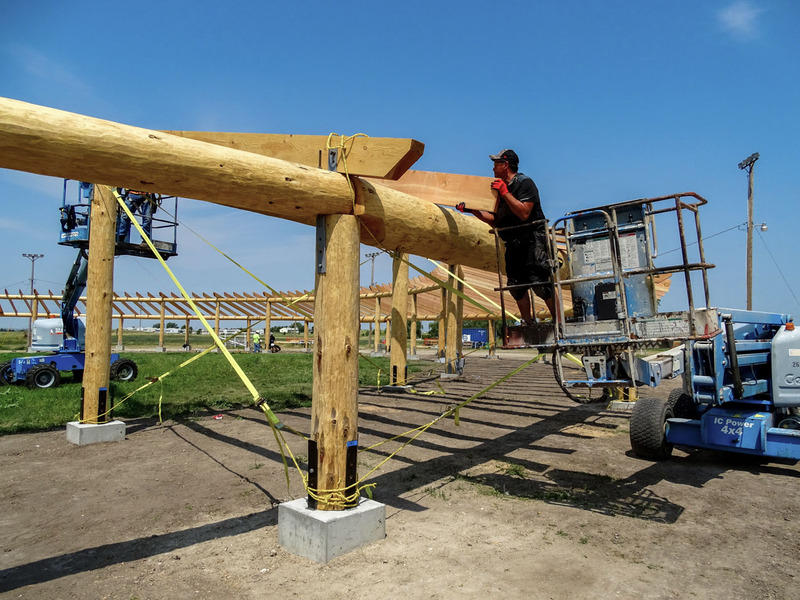 The project was fabricated by WholeTrees' partner Caribou Creek to provide the western Doug Fir components for this project. 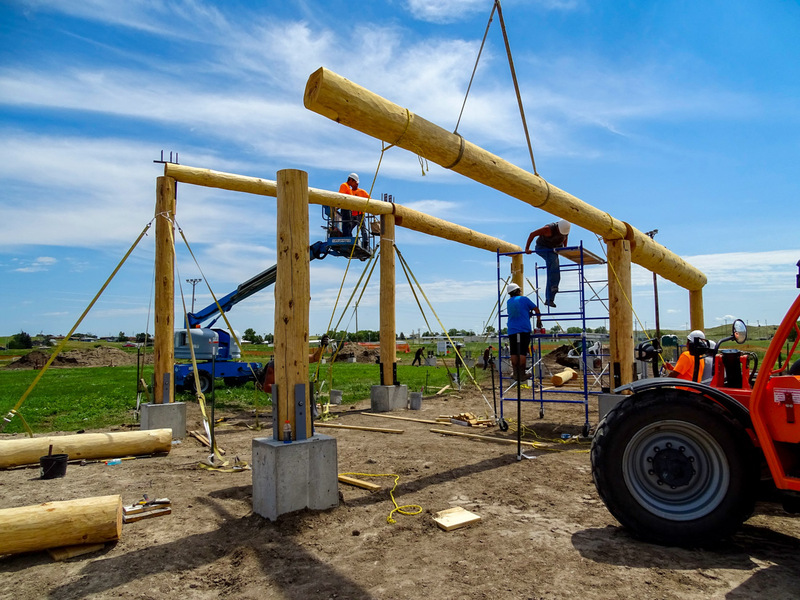 This project pilots WholeTrees work to provide round timber structures through a distributed production model that supports forests and woodland communities nationwide.